Jasmine Brett Stringer is principal of JB Stringer LLC. and founder of the internationally recognized lifestyle brand Carpe Diem with Jasmine. 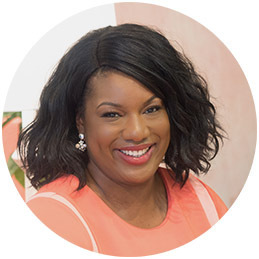 She is the lifestyle contributor for CBS, a regular contributor for the Huffington Post and within her own weekly podcast and lifestyle blog entitled, Carpe Diem with Jasmine. Jasmine's award-winning book Seize Your Life: How to Carpe Diem Every Day “sparkles with enthusiasm and inspiration for life. It's a treasure chest of positive suggestions for seizing the power of each day of your life,” according to New York Times best-selling author Caroline Myss. As a professional speaker Jasmine leverages her experiences from working with Fortune 500 Companies and some of the world's biggest brands such as, Kraft Foods, General Mills, Toyota, Box Tops for Education, Fox Searchlight, Publicis Group and the Oprah Winfrey Network (OWN TV) to inspire and empower audiences to achieve their personal definition of success and seize their lives. 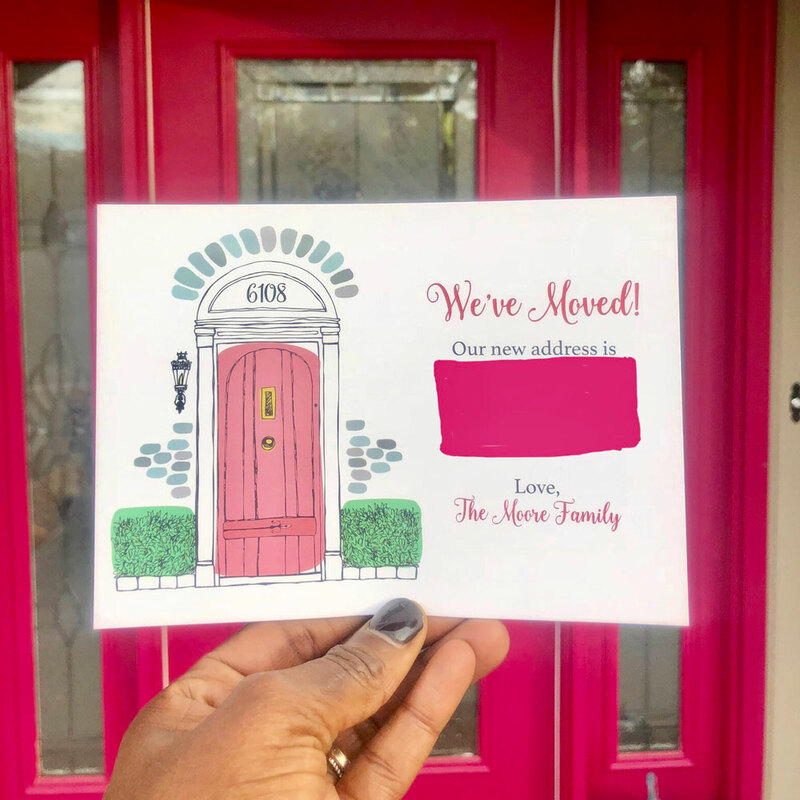 The pink door on these change of addresses matches our pink door! We moved at the beginning of the year so I’m sending these out before we officially begin holiday season 2018 to notify all of our family, friends and loved ones of our new address. 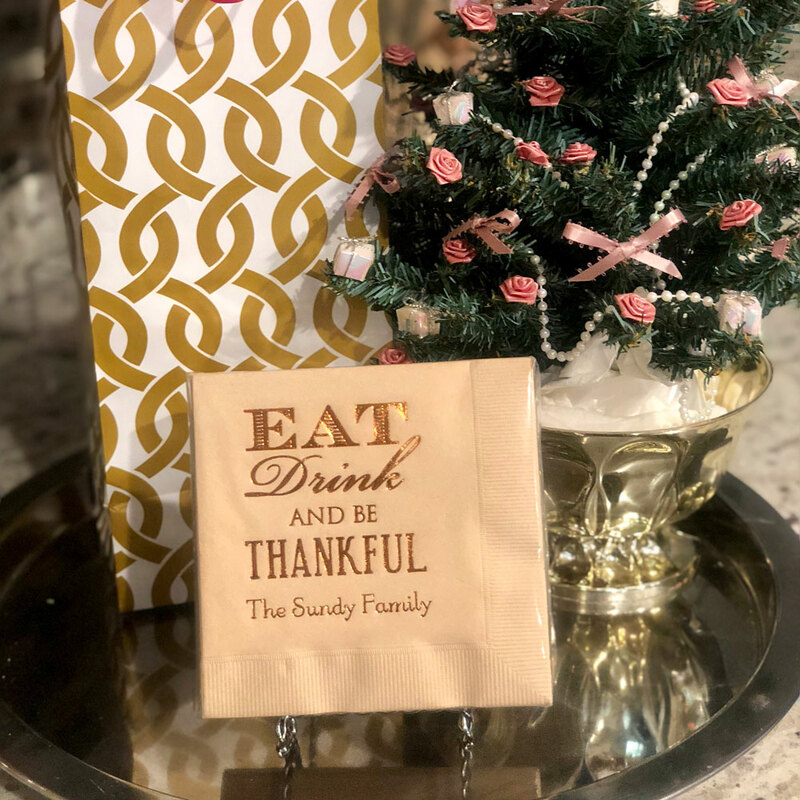 What can I say about these napkins….I think they are an easy way to JAZZ UP your holiday entertaining. You can give a package of personalized cocktails napkins with or without a bottle of wine or spirits as a gift. They’re also a super thoughtful hostess gift during the holiday season. They’re a personal touch that I’ll be giving to let people know I pay attention to the little details. I’m all about helping people seize their lives I believe that eating together as a family promotes connection and encourages conversation. These placemats protect your table from heat spots and wet spots. 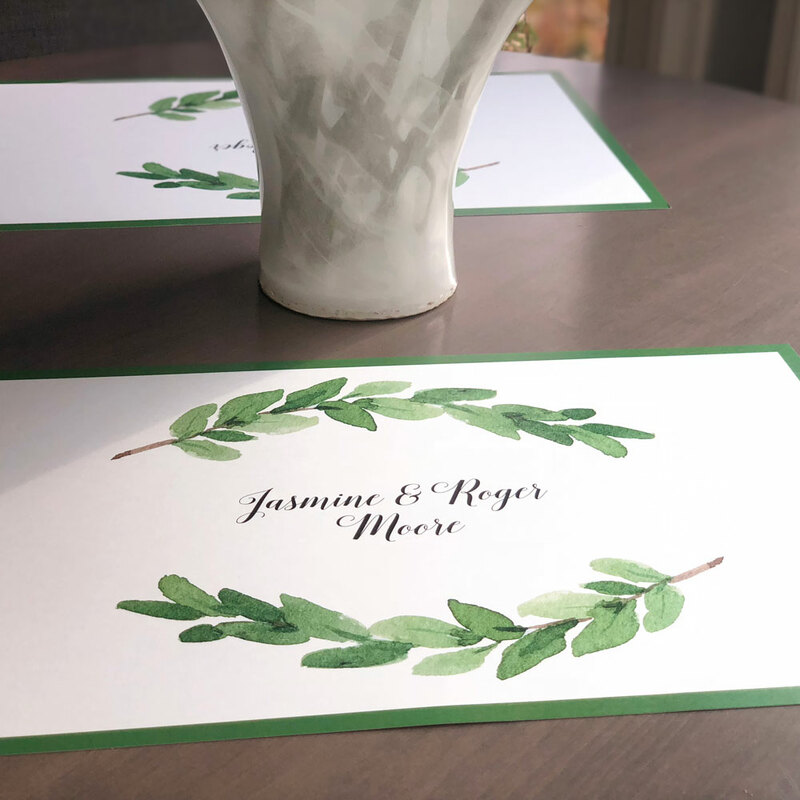 I like that Stationery Studio has options for formal dining like Thanksgiving or Christmas or more casual options for breakfast at the kitchen table. The personalization option is a super easy way to JAZZ UP your dining experience. I’m getting an early start on my cards this year. 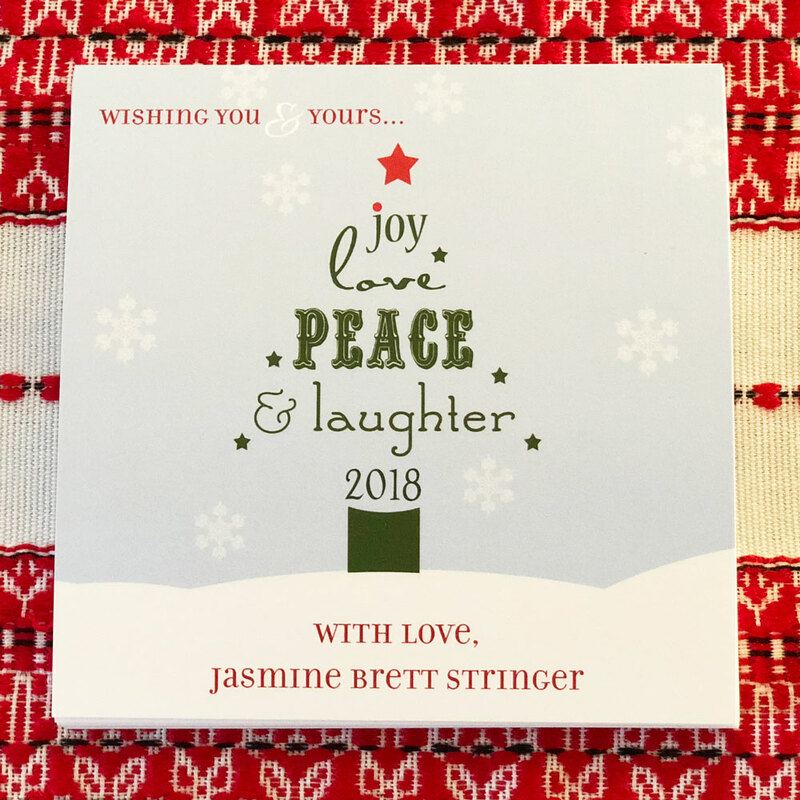 I’m doing my best to share a little happiness with my wish of joy, love, peace and laughter with this holiday card. These cups are perfect when you're entertaining and hosting overnight guest over the holiday seasons. 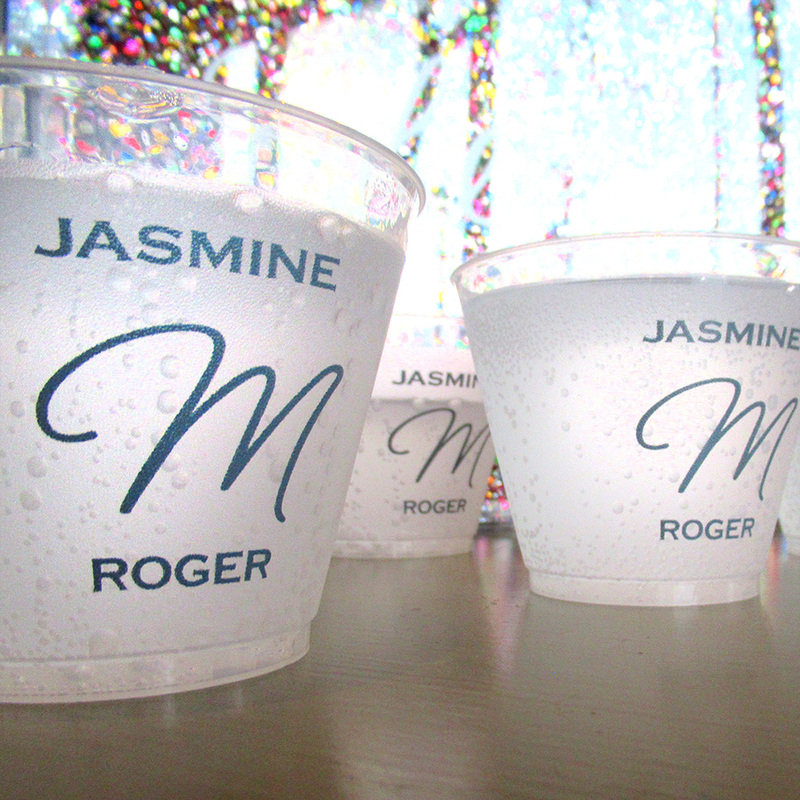 The stylish cups are personal touch and a timesaver when you have a lot of people drinking at one time. I love anything personalized with a monogram. I like this personalized cutting board because it's versatile...you can display it on the easel as kitchen art or you can use it as for a cheese or charcuterie platter when entertaining. I'm giving it to friends that got married this year. Perfect gift to a couple. They can use the notepads for to do list, honey do list. To leave notes for the babysitter, housecleaner, house guest etc. I got my first job because in part to the handwritten thank you note I sent on personal stationery. We're consumed with electronic communication today and handwritten notes are a dying practice that I'm trying to keep alive. I think everyone needs a set of personal stationery. Casual but beautiful elegant personal note card. Perfect for sending handwritten notes throughout the year. I'm giving this to my best friend Kiim, she and her husband love entertaining outdoors. This is the perfect tray to use during their outdoor fetes. During cooler months, she can bring this indoors and use it as a table tray or nightstand tray.